I recently wrote an article with my views and thoughts about triple glazing, the positives and the negatives. I was very much looking forward to the recent event at the Ricoh Arena in Coventry which was dubbed as the great triple glazing debate. I have to say what a fantastic event and debate it turned out to be, it was extremely well planned from start to finish with arguments from some of the industries most experienced and recognised speakers. How refreshing to have a completely interactive audience who were actively engaged within the context of the debate throughout the whole presentation. The debate as expected was in depth and concentrated fully on the keys area of industry - sales, technical, and logistical aspects of triple glazing. Sales obviously target increased margins, giving the home owner another option to choose or consider for installation on their property. For the salesman amongst us this is clear and is seen as the latest must sell product, giving the sales team the chance to have a greater initial price for the estimate before they hit the client with an even bigger discount hoping the client thinks they have an even better deal! As I said in my last blog, triple glazing isn’t new it has just moved forward and like everything else it is a better product now than it was 20-25 years ago. 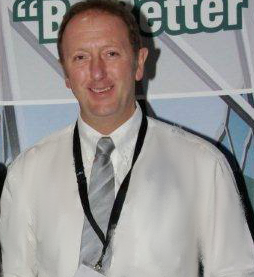 Then came the technical people, it was good to hear the technical benefits and how triple glazing should be processed today, particularly with safety glass incorporated within the product, regardless of the location, which is designed to withstand the increase of heat retention within the units. They also highlighted how the different types of glass, sealants and gasses can improve the product and unit value even further. We then had the technical guys argue how they will have to adapt hardware to meet the demands of the additional imposed loadings that triple glazing will bring, and how window designs and operational sizes would need to be adjusted and new testing carried out to meet the requirements for CE marking and WER, all incurring additional costs. I also wonder about the future system specifications, we currently use 70mm profiles that have traditionally incorporated a 28mm unit; the talk is about increasing the unit potentially up to 44mm? How will this impact on the site lines of the beads and frame sculpture with a 70mm profile? The system strength and security in my opinion will be compromised and will struggle to meet the aesthetics that exist today. If anyone thinks about increasing the profile size this would mean that on most installations there is a possibility that the plaster lines will have to be cut back and in some instances this could cause problems within the cavities and aperture preparation. Then finally there was the logistical side of it all, the glass suppliers argued that other than one piece of glass they are making two double glazed units for one. Realistically the supplier will need 50% more space to store the same number of finished products. 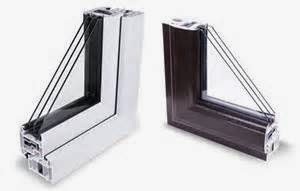 The glass suppliers stated they would need 90% additional stock if triple glazing becomes the norm. Then came the problems that additional weight to the product will bring, such as manual handling and transportation from the supplier to their customer. A typical lorry/van will in reality carry 50% less units per delivery because of the increase in weight and unit size. No surprises then that the biggest argument from the logistic suppliers was cost, traditionally in our industry we introduce something new and sales go mad on the new products and all too often we then expect the suppliers to absorb the inflated product cost whilst meeting the same timescales and demands. So let us have triple glazing as the optional installation but it should not be at the expense of the suppliers or affect the quality and integrity of the profiles and systems.